The Digital PTO Starter Plan offers a high quality ad-free website with added features like Unlimited News and Informational Pages. 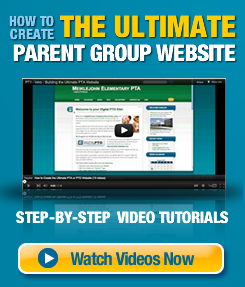 The Starter Plan is a perfect opportunity to try out a Parent Group website with very little costs for your PTA or PTO group. This is our most economical paid plan and a great starting point for PTA and PTO parent groups that want to turn off advertising and have unlimited space for news and information pages about their group. Ready to Sign Up? Get Started Here! The Starter Plan offers unlimited news posts and informational pages as well as the ability to upload images and have them perfectly sized with one click. You can upload PDF documents to your website as an added feature. Starter Plans receive 50 Mb of storage space. The Starter Plan has access to two customizable themes with a limitless color palate. You can customize your site to match your exact school colors (view a sample). Our Drag and Drop interface makes it easy to move widgets and blocks of information around on your website. Overall, the Starter Plan is the best way to start a website for your PTA or PTO if you want have unlimited space for your news and information as well as an online calendar for your group. It can then become either a stepping stone to one of our higher plans or it can remain your Parent Groups website forever. Starter Plans do not have access to our Enhanced or Premium Themes. These themes are much more advanced than the Starter Themes and offer more options and design variation. Starter Plans have ZERO third party (screened) advertisements. All of our Paid Plans are 3rd party advertising free.